Offering the classic beauty of hand-split wood shake, our Decra Steel and Metal Roofing is available to Minnesota and the surrounding area. Lightweight and durable, our Decra Steel Roofing products will not crack, split or break like traditional wood shakes. We also offer Decra’s Villa Tile, which resembles old world Italian tile, but is made from strengthened steel. Decra also offers a traditional shingle – reinforced with steel, which comes in a variety of colors, and incorporates subtle shadows, enhancing your roofs look. Decra Shingle Plus has the appearance of heavy architectural shingles but at a fraction of the weight. By increasing the edge thickness of each Shingle Plus Shingle Decra adds great dimension and better appearance than other architectural shingles. Decra Shake combines the look of real cedar shake with the added strength of stone coated steel. Decra’s Steel Roofing tiles offer the beauty of Mediterranean tile, using lightweight components of stone coated steel. Whatever your taste, Steel Roofs that use Decra roofing products have more than enough options to satisfy any taste. Here’s a list of different Minnesota Cities and Regions we sell and install Decra Steel & Metal Roofing for. Check to see if your city is listed below, if you don’t see your city there’s a good chance we’ll still service your area. As one of Minnesota’s fastest growing roofing contractors, we offer steel roofing estimates, steel roof repair, steel roof replacement, steel roofing supplies, slate roofing, fiberglass shingles, composite roofing, and more to these Minnesota cities. 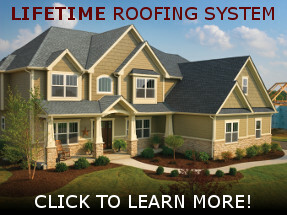 Contact Us For a Free Roofing Estimate by Calling 507.216.9206 to Schedule a FREE In-Home Consultation. Ryan Roofing of Rochester © 2019. All rights reserved.